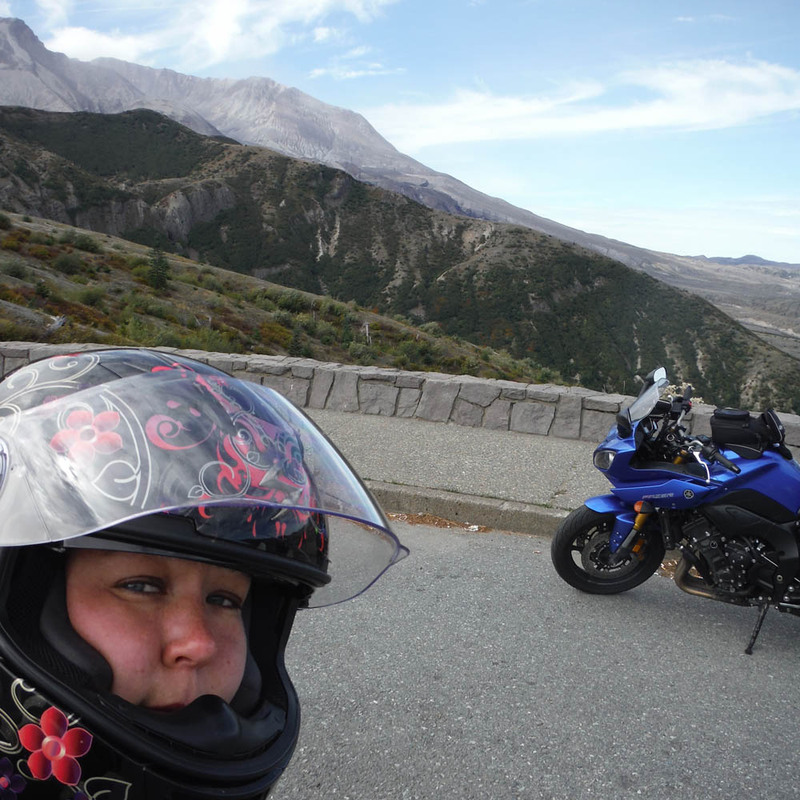 When I got my motorcycle licence, I didn’t know anyone who rode nor what I wanted out of riding. All I knew was that I just wanted to ride. 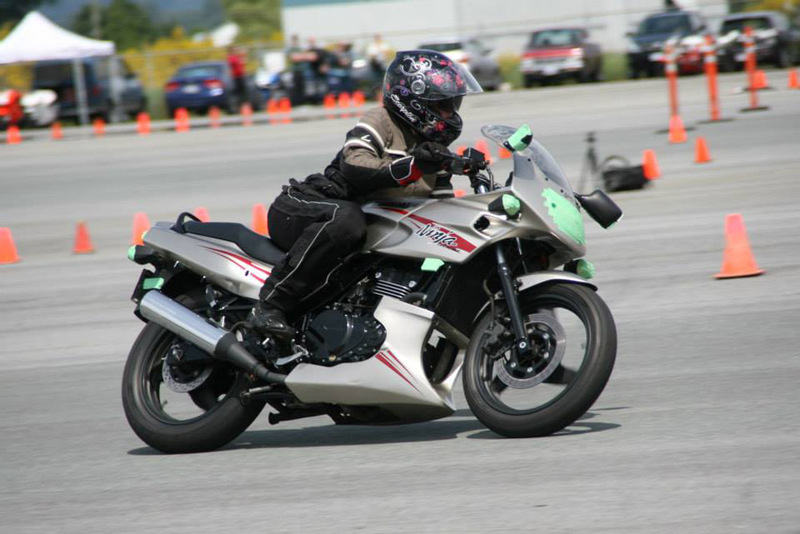 After some online research and conversations with my instructor, I bought a 2006 Kawasaki Ninja 500EX a month after earning my licence. The bike had 2000 km and was just finished being broken in when I bought it. The bike was comfortable to sit on, and the positioning was such that I wasn’t leaned over too much. It had a dry weight of 388 lbs (175 kg) and had a seat height of 30.5 inches or 787 mm. At 5’4″ I could flat foot it. Four riding seasons later, I had ridden 26,000 km with the Ninja. 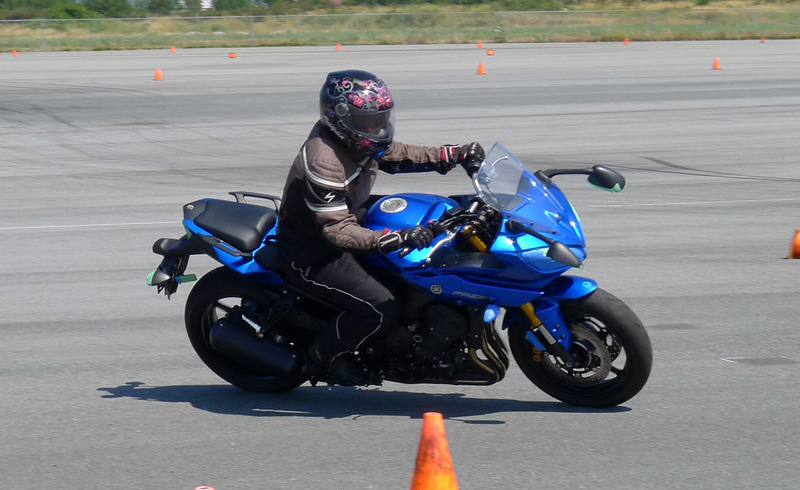 The Ninja was a fantastic bike, had great fuel economy, great maneuverability but I was starting to push its limits. 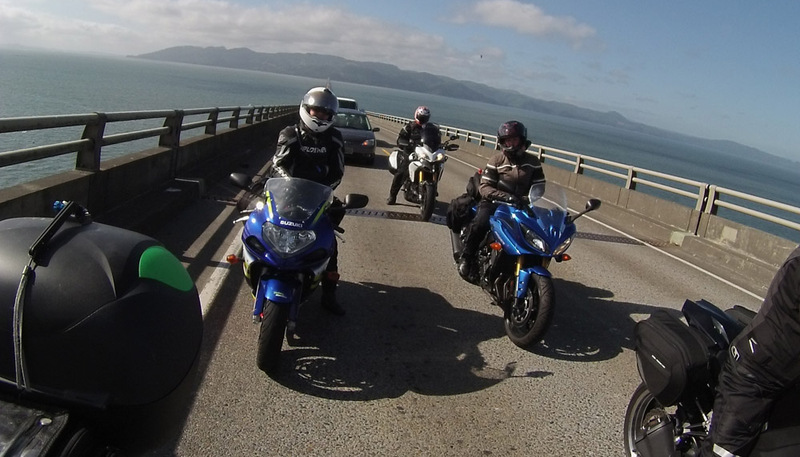 Over those years as I developed a group of riding friends, and had decided that what I wanted to do with my riding wasn’t just the Sea to Sky on evenings or day rides, but longer road trips. The Ninja was a good bike but didn’t have the ability to maintain much power or speed when weighed down with luggage, nor at higher speeds. I started wearing cycling shorts as the seat wasn’t all that comfortable when riding longer distances or on multi-day rides. There weren’t many accessories available for that model of bike that I wanted nor suited my purpose. I wanted a bike that I could do longer trips comfortably with luggage, had available accessories for luggage, and could maintain the higher highway speeds comfortably with extra weight of luggage. The cruiser style doesn’t suit my body and I don’t find it particularly comfortable for long rides. Race bikes were overpowered for my purpose and being in a crouched position wasn’t comfortable on longer rides. I didn’t want something that would wrap me around a pole if I wasn’t careful. The last consideration was the weight of the bike. I needed something that I could physically move if I had to without asking for help. I am a bit on the independent side and wanted to be able to handle and move the bike on my own without having to ask the nearest guy. I have muscles and I am strong (ish), I am not Xena. I figured I would be comfortable with something between 600 cc and 1000 cc sport touring type bike. I had started to do dealership sponsored test rides to try out different bikes over the previous few years for fun, but made more of an effort when I was looking for a new bike. I talked to friends about bikes, went to the Vancouver bike show and talked to the dealers explaining what I was looking for in a new bike and followed up by walking into the shops. I gathered as much information as possible and stood my ground on what I wanted. Responses were as varied as the number of people I talked to. I walked into a Yamaha dealership one day and told them I was looking for. The dealer mentioned that he had a brand new Fazer 8, fairing version of the FZ8, that would be suitable. I sat on it and while I couldn’t completely flat foot it, he said that was an non issue as I could lower the bike. I set up a test ride for the next weekend. After about 2 km, I knew it was mine. There was that click I had when riding it. It was comfortable, could move in the saddle. My body’s geometry when on the bike was perfect for me. It was not too leaned over, but not too up right that I couldn’t manoeuvre out of the saddle to get around a corner. The bike’s response was one I could handle, I wasn’t going to unintentionally wheelie when accelerating from a stop. The bike weighs 473 lbs (211 kg) and the seat height was originally 815 mm and lowered it by a couple of centimeters so I could almost flat foot it. There are plenty of accessories and upgrades designed for the bike that could buy and do when I had the money. I broke in the bike (1000 km) after 2 weeks and after the first season I put on 12,000 km. While a 300cc upgrade does not sound like much, the design of the bike was completely different resulting in completely different performance and ultimately, a different ride. The Ninja 500 is a parallel twin engine bike, more designed for beginners, short trips and commuting, the Fazer is an inline-4 bike. If it was a smaller engine, I don’t think the bike would be able to do what I needed it to do with luggage, and a larger engine would have un-nerved me and may have deterred me from riding. The Fazer 8 performs beautifully on long trips with twisty roads while weighted down with luggage. It was more torquey and scared me a couple of times if I twisted the throttle a bit too quickly. The weight difference in the bikes was the biggest hurdle to overcome, but with time I have gotten comfortable with it. It has now been 3 seasons with the Fazer and I have put 40,000 km on it.